Srixon has continued to impress us with their club design and performance. Distance, control, feel, and forgiveness have all been packed into their Z Series irons. A few of their key design factors include the V.T. Sole, 1020 Carbon Steel forged construction, and a laser-milled face. These contribute to consistent ball striking, soft feel, less vibration through impact, and total spin control on all types of shots. You can use a single model set of Z585’s for distance and feel, or the Z785’s for workability and feel. Another option is to use both in a combo set. Srixon offers a very versatile, good looking, soft feeling, and high performing set of irons. These irons also include the Z-Series utility iron named the U85 with 5 different degree lofts from which to choose. This utility iron has a wider sole that feels better and consistently provides a more positive turf interaction. Even the Z785 and Z7585 were made to generate a more aggressive bounce for better initial turf interaction. Together, this new line of irons is already in the house at Cool Clubs and ready for you to be fitted for the Srixon Z Series. 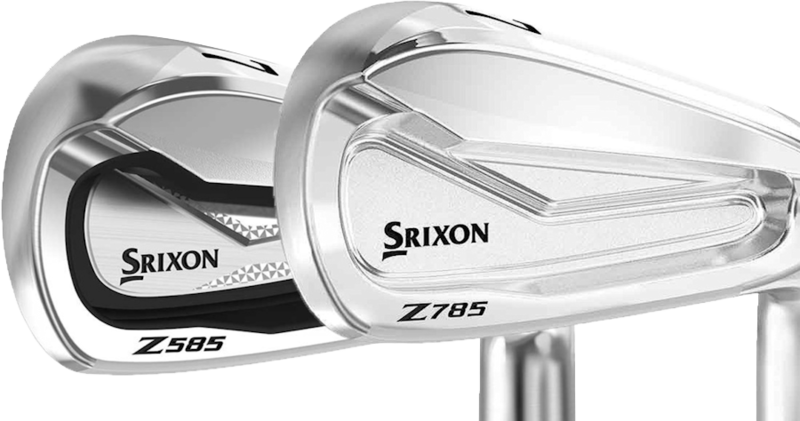 Book your Cool Clubs fitting for the Srixon Z Series irons.